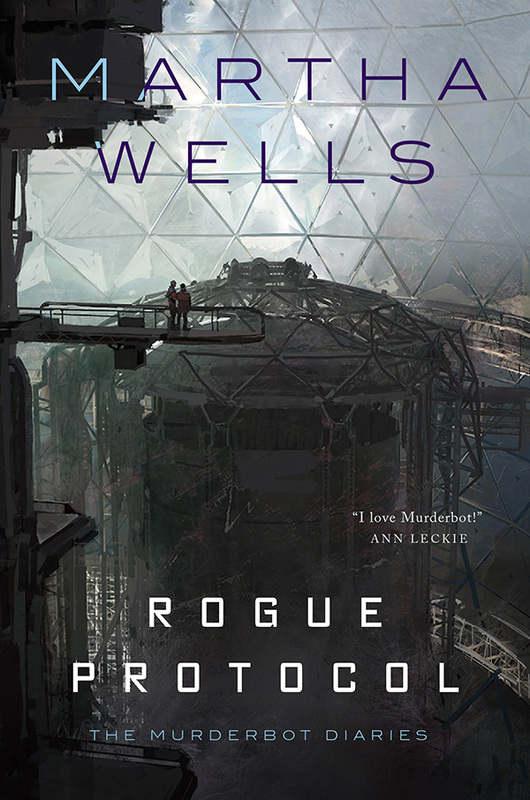 Plot, pacing, and side-character wise, Rogue Protocol felt like a mash-up of the first two Alien movies (and I do LOVE those movies to death!). Murderbot, Miki, and some humans are investigating an abandoned station. It’s unlikely that anything is alive on the station, but there does seem to be something or someone creeping about and herding the explorers towards certain areas of the station. Their unseen enemy is cold, calculating, and damn smart. Miki is to Murderbot as Murderbot was to ART, and who knows, maybe there’s no difference between the three laws of robotics, your mission to protect your humans, and waving a death flag. You can always just get another robot, right? I was torturing my poor husband by talking non-stop about this series, and somehow he and I got on the topic of Murderbot fanfic. We came up with that after this series ends and life becomes a little more boring for Murderbot, it gets a job as a courier. And reads all the mail, because of course. All the letters are love letter, which of course Murderbot makes fun of, until it realizes the parallel between these real life love letters and the plot of Rise and Fall of Sanctuary Moon. Connection found, Murderbot begins writing its own epistolary fanfic shipping different characters from that show. I just finished reading Revenant Gun by Yoon Ha Lee. We need to get Hemiola and Murderbot in the same place at the same time, I think they’d be great friends. 3 Responses to "Rogue Protocol, by Martha Wells"
YES! *fist pump* I know what you mean, this one probably wasn’t my favorite of the four novellas either, but it was still so damn good. I love this series, and I agree this probably wasn’t my favorite of the series- that would probably be the second or fourth one- but I did like the creepy feel of the abandoned station, and wondering what exactly was herding them along. I can’t wait for the Murderbot novel when it comes. so far the 2nd one is my favorite, good to hear that the fourth one is really good! I’ve not gotten my hands on a copy of the fourth one yet. there is going to be a novel? YES!!!!!!!!!!!!!!! !